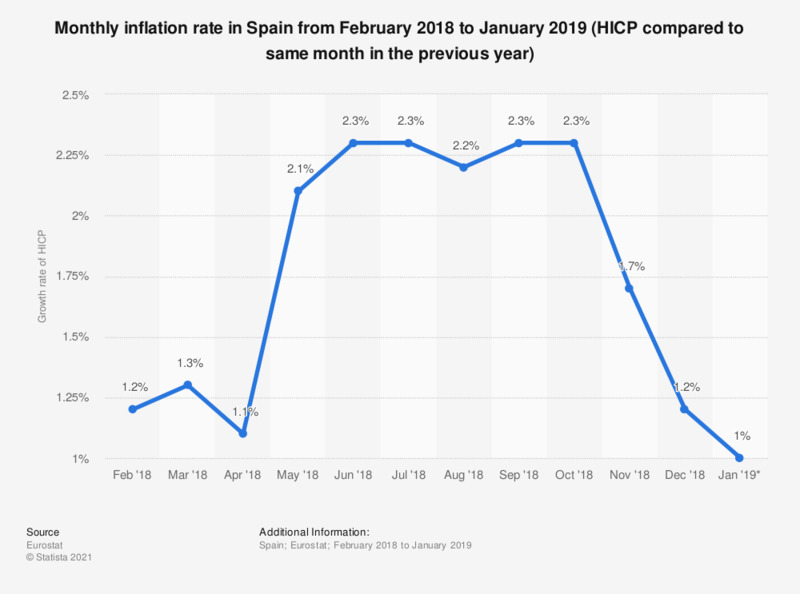 This statistic shows the monthly inflation rate for HICP (all items) compared to the same period in the previous year in Spain from February 2018 to January 2019. In December 2018, the inflation rate was 1.2 percent compared to the same month in the previous year. The inflation rate is the percentage change in the price index for a given period compared to that recorded in a previous period.